Fill a large bowl with cold water. Squeeze the juice from one lemon wedge into the water. Trim the tops from the artichokes, and then cut in half lengthwise. Place artichokes in lemon water. Bring a large pot of water to a boil. Meanwhile, preheat an outdoor grill for medium-high heat. Add artichokes to boiling water, and cook for about 15 minutes. Drain. Brush the artichokes with a coating Caribbean Jerk BBQ sauce and Intensi-FIRE mixture, and place them on the preheated grill. Grill the artichokes for 5 to 10 minutes, basting and turning frequently, until the tips are a little charred. Serve immediately. 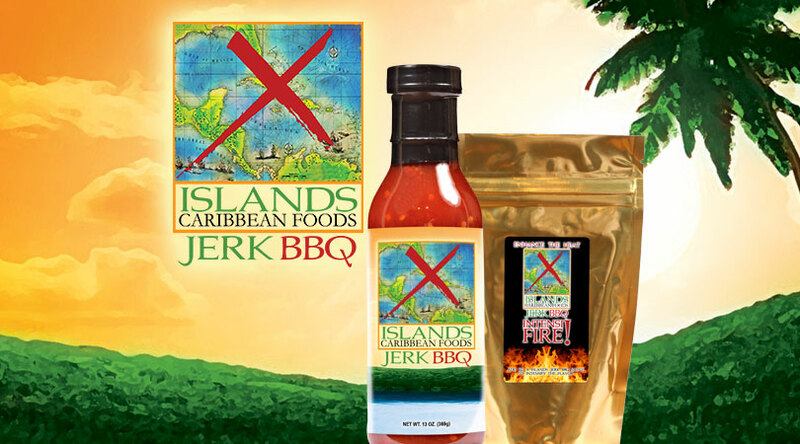 Perfect with Caribbean Jerk BBQ mayo.